Cotton On Chadstone delivers value fashion and quality basics. We are a focused, passionate and hands-on brand with a single focus: to deliver on-trend basics and fast, fun fashion, all while making sure we're having some fun doing it. 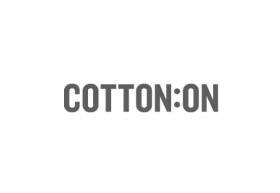 Cotton On's product offering includes womenswear, menswear and accessories as well as apparel range CO by Cotton On.